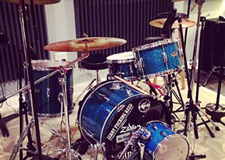 Have a band and need to record a demo? Or are you an individual artist trying to get noticed? 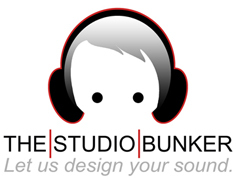 The Studio Bunker Recording Studio features the latest digital recording technology to help you move to the next level of performance. This is based on an hourly rate with engineer. So, if you want to come in and sing to some tracks, cut some tracks with your band, or you have files from another studio and you need some new mixes, this is the rate. Book your private recording session now & enjoy the comfort of home with the feel of professional when you record with us. If you already have your tracks recorded, but need everything brought together in a professional way, look no further. We can take just about any level of recording, and polish it for a radio ready sound, so you can feel confident that we have the experience and tools to make your track shine. Contact us now for a mixing quote. 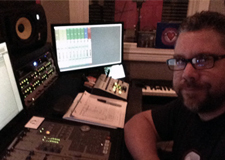 The most important relationship when creating a record from scratch is the relationship between the artist & producer. 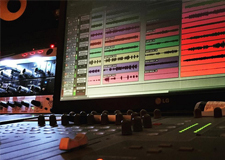 We understand that each artist has it's own sound and production needs. We are here to create the soundtrack for your music. We have over 20+ years of experience in music production and no project is too big or too small, contact us now for a quote.